The archived public folder mailbox can be accessed from contentWEB just like a regular mailbox – the logged on user needs to have permission on the public folders – then the public folder permissions are evaluated on each folder and only the correct ones can be accessed. 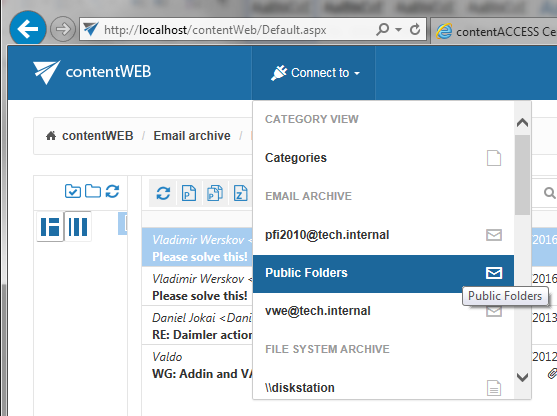 The contentWEB user has the possibility to manually recover the archived public folder items in contentWEB back into the original location. When folders are recovered, the top level folders must exist.